Founded in 2008 by Kitty Bruce, The Lenny Bruce Memorial Foundation combats alcohol/drug addiction with scholarships and education. Working closely with sober houses and treatment programs, Kitty Bruce oversees many aspects of addiction service and works with approved facilities designed to save lives. The foundation provides scholarships for sober living programs as approved by Kitty Bruce. Her goal is to establish educational modules that work under The Lenny Bruce Module guidelines for long-term success. We work with different treatment centers around the country. The primary goal is to get people going. Some people need financial assistance. If an approved program is too expensive, The Lenny Bruce Memorial Foundation scholarship program can cover many of the costs. Under the direction of Kitty Bruce, the foundation stays involved with each person they help. The foundation seeks after care support, family care support and ongoing educational and emotional guidance for recipients of the scholarships. In some there cases there are people caught in the penal system that are brought to the foundation for help. In such cases, The Lenny Bruce Memorial Foundation can find the right plans to help these individuals, which may include at-home plans that are approved by the court. Today Kitty Bruce is proud to have personally handled many success stories. 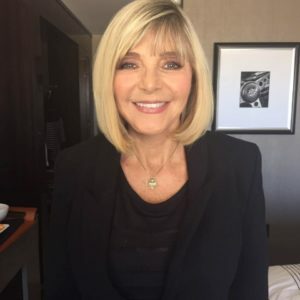 Many of those she has helped with funding and educational tools through The Lenny Bruce Memorial Foundation are still living productive, clean and sober lives today. We teach new ways to perform every day tasks without becoming overwhelmed. We talk about the power of positive action. We help people in recovery learn how to incorporate exercise and strength of mind and body while building a spiritual foundation on a daily basis. We teach people who struggle with negative behavior to turn that energy into fulfilling time that was once viewed as idle or boring. Whether it’s serving the homeless or being helpful at a 12-step meeting, we urge giving back. This is one way we teach people to become comfortable inside their own skin. We focus on communicative skills and body language to build better self-esteem. We help people understand this disease; where it is coming from and how to get rid of negative self-beliefs. We provide new ways to think with positive, non-self-judgment messages. Substance abuse and addiction do not have to be a death sentence. With every donation made, an individual in the early stages of recovery is able to take another step towards putting their lives back together.